Do you like Cars? We love them! 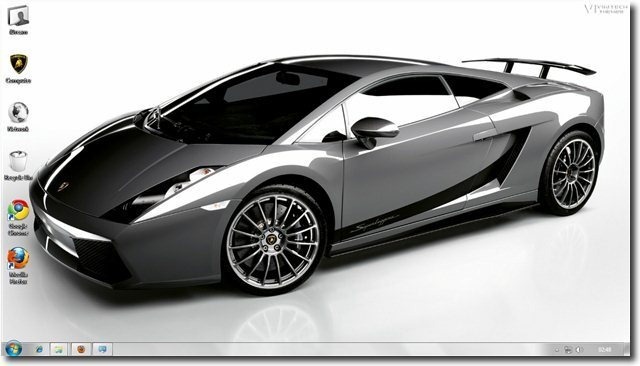 One of the most fascinating Supercar ever created is the Lamborghini. Think of any model, each one is more awesome than the other. These cars cost a fortune so not many of us can ever buy one, but we can always drool over some beautiful Lamborghini Wallpapers. 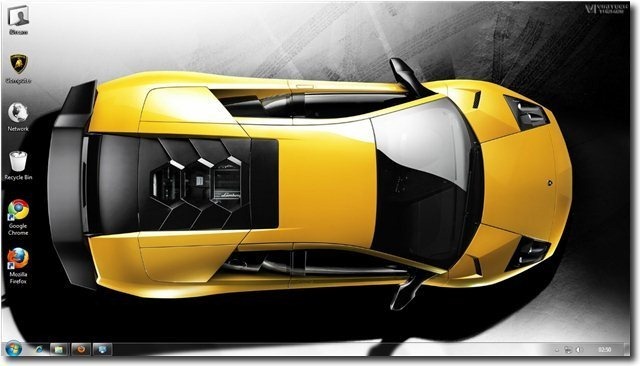 Just like the Ducati Windows 7 Bike Theme released before, we have taken great care to pick the best Lamborghini Wallpapers as well as sounds for a complete Lamborghini Theme experience on your desktop. 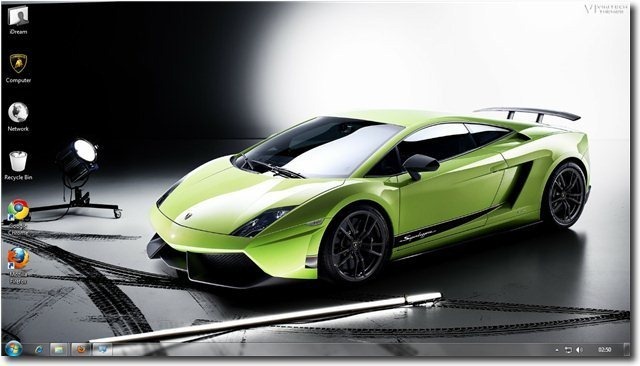 The Lamborghini Windows 7 Theme consists of 25+ HD Lamborghini Wallpapers, Custom Icons and genuine Lamborghini Car sounds. This Theme also includes Custom Icons which will replace the same old boring desktop icons we see everyday. 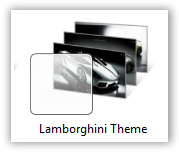 We have also included select sounds from different Lamborghini cars to spice this theme a bit. 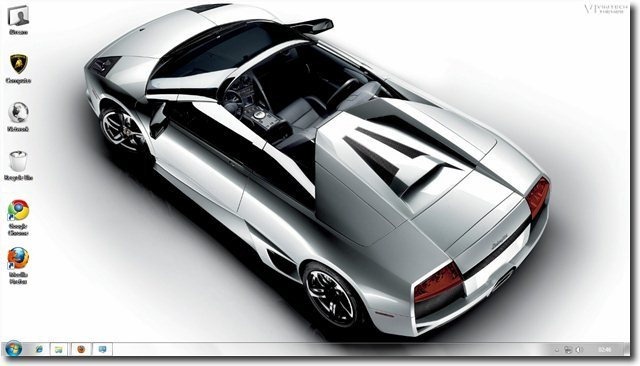 The Lamborghini fans would appreciate it. 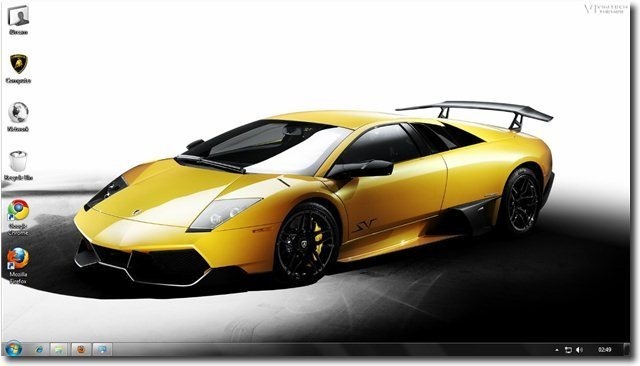 We have a dedicated download page for Windows 7 Lamborghini theme. You can also explore various other Windows 7 Themes we have created before, on our themes download page. 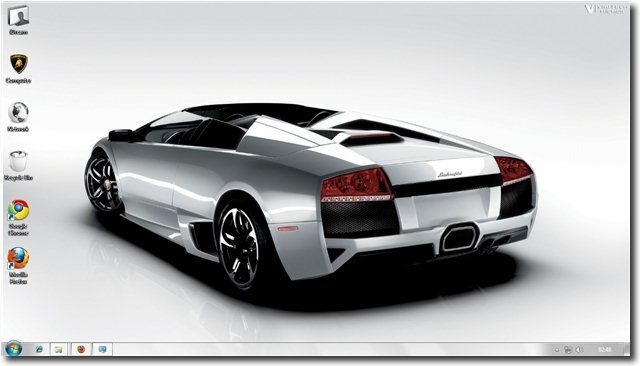 No Lamborghini have ever been produced with less than a V8 engine. 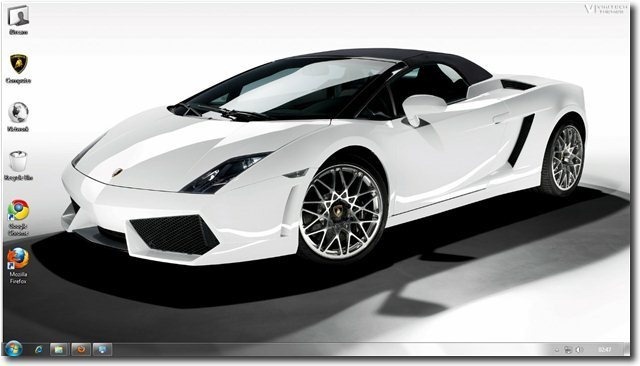 Most of the Lamborghini models throughout the history of the company have come with the legendary Lamborghini V12 engine, but the newest model, Gallardo, only has a V10 engine. Hope you enjoy this cool theme.